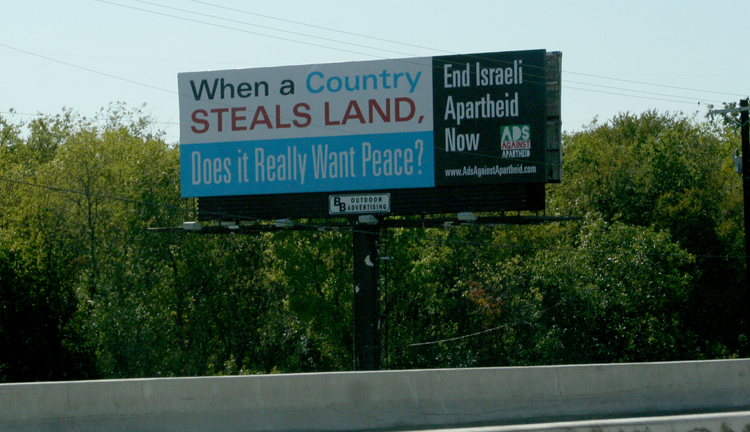 Ads Against Apartheid has just begun its first advertising campaign in Dallas, Texas, adding a third city to its growing national presence. The advertisement highlights Israel’s ongoing theft of Palestinan land. Ads Against Apartheid concluded a massively successful fundraising campaign this October, raising more than $100,000 to run its “One Word” campaign in as many as ten major American cities. The organization is currently seeking local partners in each city to help maximize its impact. Those interested should email outreach@adsagainstapartheid.com for more information.